Most of these subscription services require a username and or password. Please contact the library for the login information. Click here to visit OpenCulture.com. You’ve reached a unique cosmic destination, the spinning vortex at the center of almost 20 years of working to preserve and promote Vermont-made music: The VT Music Archive Audio Player. Browse 10,000+ Vermont-made songs, archived at Big Heavy World in a special collection that’s open to the public and listenable online. Each song can be ‘checked-out’ of the library while you listen to it; you’re having a singular experience, and anyone else will have to wait their turn to hear it. This is a good, old-fashioned listening library. 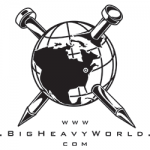 Click here to visit Big Heavy World Music Library. A free digital media service available 24/7. Download audio and ebooks right to your Kindle, eReader, Nook, iPod or iPad, tablet, computer, smart phone, mp3 player, and other mobile devices. Click here to visit ListenUpVemont!. Also known as Vermont Online Library or VOL, and brought to you in part by the Vermont Department of Libraries, the Gale Group suite of databases is a one-stop source for news and periodical articles on a wide range of topics: business, current events, economics, education, health care, literature, art, and science. Millions of full-text articles, many with images. Click here to visit GALE. Heritage Quest: Search U.S. Census data 1790-1940, Revolutionary War records, Freedman’s Bank, and the full text of millions of local history books and articles. 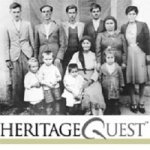 Click here to visit Heritage Quest. Learn something new today! Click here for access to over 500 online continuing education courses. Subjects include: computer training, photography, resume writing, GED training, business courses, and many more. Classes are Internet based and feature real instructors. Click here to visit Universal Class. 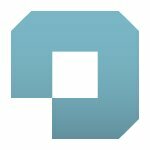 This library contains recordings ranging from alternative news programming, to Grateful Dead concerts, to Old Time Radio shows, to book and poetry readings, to original music uploaded by our users. Many of these audios and MP3s are available for free download. The Internet Archive is a 501(c)(3) non-profit that was founded to build an Internet library. Its purposes include offering permanent access for researchers, historians, scholars, people with disabilities, and the general public to historical collections that exist in digital format. Click here to visit Internet Archive. These websites are regularly reviewed and updated to ensure we provide you with quality, freely available research options online. 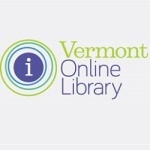 The Vermont State Library also offers assistance with any research topic. You may contact the State Library via phone, email, or visit us in person. 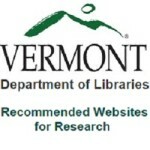 Click here to visit VT Dept of Libraries Recommended Websites for Research. Click here to visit InfoTrac Newstand. Click here to visit Small Business Resource Center. Gale’s largest collection of full-txt periodicals and popular magazines. Click here to visit General OneFile. Click here to visit Career Transitions. Click here to visit ChiltonLibrary.com. Health & Wellness Resource Center delivers up-to-date reference material as well as full-text magazines, journals, and pamphlets from a wide variety of authoritative medical sources. Click here to visit Health & Wellness Resource Center. The VTDNP will digitize another 100,000+ pages of historical Vermont newspapers from 1836-1922 over the course of its second NDNP grant. For its first grant cycle, VTDNP successfully added 130,000 Vermont newspaper pages as fully searchable content on the Library of Congress Chronicling America website (http://chroniclingamerica.loc.gov/ ). 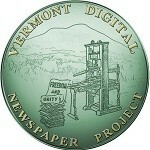 Click here to visit Vermont Digital Newspaper Project. The World Book web site offers an encyclopedia, dictionary, atlas, homework help, study aids, and curriculum guides. The Rochester Public Library provides free access to various editions of the World Book Encyclopedia Online inlcuding: Word Book Kids, Student Edition, and Spanish Students. Click here to visit World Book Online. Being a global citizen means knowing how to communicate beyond ordering a drink or asking where the train station is. The Powerspeak Languages online learning program provides a rich cultural and language experience that uses audio, video, and interactive lessons to take users beyond rote memorization to a deep understanding of how to communicate in a new language. Click here to visit Powerspeak.